Posted by uggclogs in Baking, Cooking, food, Happiness, Life. It’s been a while since I have been baking, but last night I brushed off the old skills. I had no idea that I had become so rusty, and was making rookie mistake after rookie mistake! The result was still tasty, but I think I will have to relearn my old tricks by getting back into baking! 200g butter (room temperature) (mistake number 1: the butter I used was too cold. It needs to be soft, but not melted). – Take all the ingredients out of the fridge and measure out the necessary amounts. – Make sure the butter and all the other ingredients are at room temperature. – Turn the oven on so it pre-heats to the correct temperature. – Whisk the butter and sugar together in a mixing bowl. Make sure it becomes a fluffy texture. – Add an egg at the time, whisk until just combined between eggs. – Add the vanilla, combine. – Sift the flour and the baking powder into the mixture. – FOLD the flour through the eggs to maintain as much of the air in it as you can. – Fold the buttermilk through. – Separate about 1/3 of the mixture into a separate mixing bowl, and sift the cocoa into it. Fold through gently. – Pour another third of the vanilla mixture into the baking tin, then the cocoa mixture, then the remaining vanilla. – Use a skewer to gently draw a line through the mixture (ziggzag about 2.5 cm apart one way, then the long way). Don’t overdo this. – Place in oven, and leave to bake. This cake also freezes well. Posted by uggclogs in Baking, Easter, Happiness. It’s been a while since my last Easter Treats, but it’s ok, as Easter is still some time away. Today, I am introducing an Australian classic – although I understand it may have British origins. Enjoy. As I realise that some people are struggling with their doughs, I’ll give you a fool-proof way of making dough. If you are pretty set on how to make dough, or if you have your own method, skip ahead to the bold part (which is just after the second lot of rising the dough). – Melt the butter in a small saucepan. – Add the milk, and heat for about a minute, to make it luke warm. – Tip: when you dip your pinky in the milk and butter mix, you should not feel heat or cold. – Pour the milk and butter in a large bowl. Add the sugar. If you have fresh yeast, keep some of it aside, and crumble the yeast in until dissolved, then add to the rest of the mixture. With dry yeast, put it directly into the bowl. – Tip: Adding the sugar to the lukewarm milk and butter will give you the optimal conditions for your yeast to grow. Yeast feeds on sugar, but salt retards it. Yeast, being a fungus, also likes 37 degrees, so the lukewarm milk kick starts the yeast function. If it is too cold, the yeast will take too long to rise the dough, if it is too warm, it will kill the yeast. – Put 4 heaped tablespoons of the flour into a bowl, add the salt and mixed spice. Mix together. Doing this will ensure that the dough will be evenly spiced, and the slat will not cause the yeast to stop it’s process. – Add the flour and spice mixture to the liquid mixture. Stir with a wooden spoon. – Tip: at this point, the mixture will create big lumps. Don’t worry, you will knead these out later. – Add the flour bit by bit, until it is too heavy to stir with the spoon. – Tip the whole dough onto the bench. – Add the currants (if using) and the egg, then start kneading the dough. Every time it starts sticking to your hands, add more flour. – Place back in the bowl, and leave to rise in a warm, dry place for 1-1.5 hours, or until twice the size. – Tip: Cover the bowl with a clean, wet kitchen towel (cloth) to prevent the top of the dough from drying out. Some prefer to use glad wrap for this. – Knead quickly again, then divide into 12-15 pieces. – Roll into buns, place on a baking paper clad baking tray, cover with the wet kitchen towel, and leave to rise for another 30 minutes. It’s ok to put them close enough that when they rise, they touch each other! – Turn on the oven to pre heat. If it is a very old oven, you may have to do this earlier. – While you are waiting for the buns to rise, make the flour paste: mix the flour and water in a small bowl until smooth. – Spoon the paste into a snap-lock bag. Snip off 1 corner of the bag, to create a piping-bag. If you have a piping bag, you can of course use it, only make sure you use a small sized piping tip. Pipe strips of paste over the buns to form crosses. – Bake for 20-25 minutes, until they sound hollow when you tap them on the bottom. – Make the glaze by adding sugar and water in a small saucepan on low heat. Stir until the sugar dissolves, then boil for 5 minutes. Brush the glaze over the hot crossed buns while they are still warm. Hot cross buns are best when fresh, but they can also be frozen. If you make the currant variety, and want to do something a little more fancy (but non-traditional, and some would say controversial!) you may want to ditch the glaze, and brush the tops of the buns with warm apricot jam. Posted by uggclogs in Baking, Easter, Happiness, Life. Easter is rapidly approaching, and I never had the chance to share my Easter recipes with you! Have a look at my previous post on descriptions of my Easter growing up, great memories, and lots of good food. And, as I say at the end of that post: it meant family above all. My dad and I would often bake together for Easter, so I will share his recipes with you first. We would eat these buns for Easter breakfast, just like little baguettes. – Knead, divide the dough into 15, and roll into round buns. – Leave again under a damp towel in a warm place for 30 minutes. – Sprinkle riceflour over the top. Use a chopstick to make a crease along the middle of the bun (take care to not cut through the dough, but there should be two distinct mounds of dough barely attached. – Place a large oven proof dish of water in the bottom of the oven before turning it on, then preheat it to 230 degrees. – Remove the water, bake for another 10 minutes. Posted by uggclogs in Baking, Happiness. These were just too easy and too fabulous not to blog about. I love easy recipes that you can whip together. – I replaced 1/2 of the chocolate chips by chocolate that I had chopped roughly into chunks. Serve with milk to an entire cast of a play, and they might all curl up and sleep in the wings of the stage. Posted by uggclogs in Baking, Cooking, Happiness, Life. After my recent baking adventure making custard buns, I still had a whole lot of egg whites in the fridge. Being Dutch at heart, I really dislike throwing away food, so I thought I should attempt to make that fantastic cake Australians call their own (although the origins of the ‘Pav’ is sometimes disputed). It turned out to be far easier than I had expected, and the result was divine. I even have a plan on how to make a cake derived from the Pavlova (although the Aussies might find this sacrilege…), but more on that in due time. First, here is the Pavlova. Whipped cream (300 mL), sugar and fruit to decorate. Oven at 130 C, 75 minutes. – Firstly, it is essential that there is no grease that comes into contact with the egg whites, or they will not stiffen! So use a clean bowl and make sure the beater is clean, too. I always wipe everything down with some extra vinegar, just to make sure, because there is nothing worse than eggs that won’t go hard. – Whisk the egg whites until soft peaks start to form. Add the sugar one tablespoon at the time, continually beating. – When all the sugar is in, beat until stiff. You should be able to hold the bowl upside down without the egg falling out at this point. Be careful, though, if you fail at this stage, you will have a very messy kitchen, and no more egg whites. – Sprinkle the vinegar and corn starch over the lot, and carefully fold into the egg. Make sure not to deflate the egg too much. – Spoon onto baking paper on a baking tray in a circular shape. Make it about 4-5 cm thick, with a slight indentation in the middle. – Place in a hot oven, and bake. – When it is finished, leave the Pavlova in the oven to cool slowly. It will crack and sink a little, not too worry. – When you are ready to eat it, decorate with cream and fruit. – I used mango and strawberries (the latter of which I threw through a food processor, because they were frozen) with great dollops of cream. Posted by uggclogs in Baking, Cooking. There is something very relaxing about kneading, flour up to your elbows, knowing that what you are creating will be delicious. I am currently waiting for the dough to rise, so decided to blog about it in the mean time. I first made these custard buns in Home Ed at junior high. Loved them then, love them now. Note to self; when this recipe says ‘whisk’ it means combine, not beat with an electric beater. I ended up with extremely frothy custard! – Make the custard. Note that you will have left overs with these amounts. I adapted the above from a different recipe, but I like home made custard for desert, so I never decreased the amount. I reckon about half would be enough, too. – So, make the custard by ‘whisking’ the egg yolks, sugar and corn flour together. – Add 2 tablespoons of the milk to the egg mixture. Heat the remaining milk and vanilla in a saucepan. – When boiled, slowly pour the milk into the egg, mixing all the while to prevent the egg from cooking. – Pour the lot back into the pan, and bring it to a boil over medium heat, while continuously stirring. – Remove from the heat when it thickens, add the butter, combine, then leave to cool. – Rise it to about twice the size (in hot, humid climes, you can place it outside under a wet teatowel). – Divide the dough into about 10-12 equal parts. Lightly knead each part, then flatten to a piece of dough about 10 by 10 centimetres. – Place the dough flap on your palm, then cup your hand to make a little bowl. – Place one teaspoon of custard in the bowl, then close the dough around it. Make sure not to overstuff, because it will just leak out. – Place the bun with the joint down onto baking paper, then cover with a wet teatowel again, and leave to rise 15 minutes. – Bake in a preheated oven at 225 degrees for 15 minutes. It has been close to forever since I last posted a post about baked goods, and I thought I would take the opportunity of my Sunday home all alone to bake delicious cinnamon scrolls. – Make the dough. Knead well. – Leave covered in a warm place for it to rise for 45 min. – Turn oven to 230 degrees Celcius. – Knead quickly, then roll out to a flat leaf about 1/2 cm thick. – Brush with the melted (or soft) butter, sprinkle generously with sugar and cinnamon (cover all the way to the edges). – Roll the leaf tightly, cut into slices about 3 cm thick. – Place on baking paper, cover with a moist tea towel, and leave in a warm place for 30 min. – Place in oven for 10 minutes or until baked through. Eat as are, or freeze for a later occasion. Posted by uggclogs in Baking, Easter, Life. As a follow up on my post in November last year relating to my childhood Christmas memories, I thought I should make a similar one relating to Easter. Yet again, these traditions are a bit of a mixed bag – all adopted from the different cultures I have grown up in. But they all contributed to a real “Easter Spirit”, something I have not really felt since leaving home so many years ago. Easter used to equate to two weeks off from school, so it meant something to us, even though we did not actually partake in the whole Christianity rituals. Leading up to Easter, we used to decorate boiled eggs by either painting them, or by boiling them in coloured water (beet root or onion peel, etc). At home, we used to have a little egg mill that would allow you to paint all around without getting too much paint on your fingers. But to decorate eggs like this, you need white eggs. And it was not until my partner’s little sister came to visit one Easter in Australia that I realised that finding white eggs there is practically impossible! And she underlined that sentiment (after I had finally located some) by admitting to that being her first time to ever see a white hen’s egg! 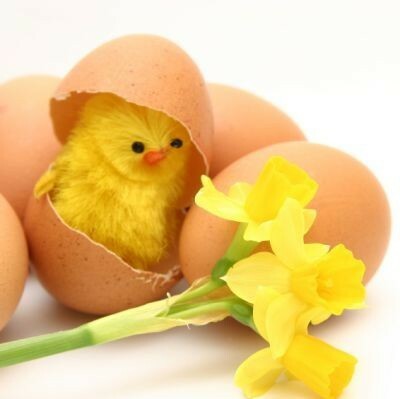 For the actual Easter Sunday mornings, we used to have elaborate breakfasts, with tablecloths (only came out a couple of times a year) and little fluffy chicks decorations (like the one below), eggs, breads, buns, stolls and chocolate. Before breakfast could start, however, we would have to go egg hunting. In the Netherlands, the eggs would be hidden around in the garden (and my earliest memory of hunting for them was at my parents friends’ house, where I chucked a tantrum because I could not find them fast enough, and my brother, who was two year’s older, would find them all! Ah, the glory of sibling rivalry. In Norway, however, it was simply too cold to have real eggs outside, so they were hidden all through the living room instead. After finding all the eggs, and placing them carefully on our ‘egg tree’, which was basically a carton structure for the eggs, we could sit down and eat as a family. 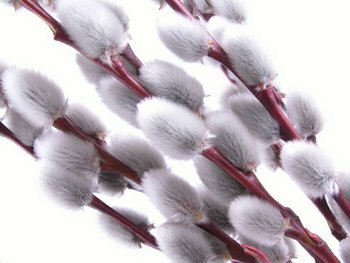 The Norwegians have a similar tree tradition – but they blow the insides out of raw eggs before decorating them, then they hang them up on twigs of pussywillow. You can also tie colourful feathers to these twigs for added pizazz. Plants in general are very important to me for Easter – especially flowers. Daffodils, Crocuses, Snowbells and the above-mentioned pussywillows. Hyacinths and Tulips as well. But we never got on the bandwagon of the other major Norwegian traditions: a week skiing in the mountains; crime novels; and kvikk lunsj. We did like to watch the Easter quizzes on TV, though. Back to the breakfast tradition; For breakfast, everything is tastefully arranged and very special. No eating in your undies on Easter morning! Both my brother and I would receive a large agg (ours were cardboard, but I have recently seen some metal ones that I really want) full of small, chocolate eggs from HEMA (bliss!). 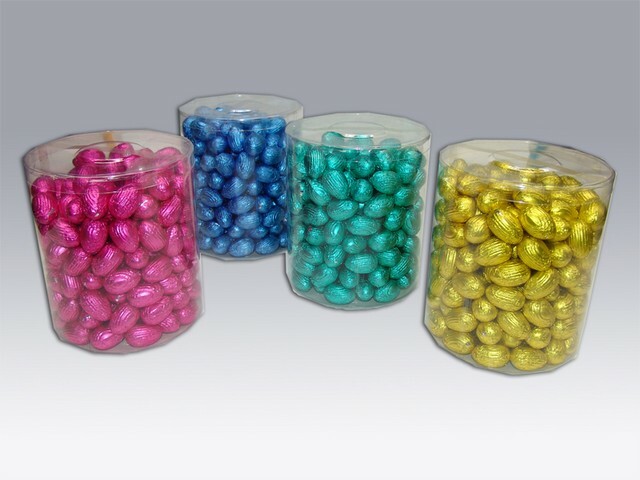 Grandma used to send them to us, and each colour used to have a different praline filling. They were (and still are) pure heaven. All those recipes I intend to share on this blog over the next few days, have no fear! So until then – enjoy your Easter, for whatever it means to you! For me, it meant family above all. Posted by uggclogs in Baking. My favourite website dealing with baking and baking paraphernalia is worth a look for everyone who is keen on baking – it has mouth watering recipes and fantastic tips. I have subscribed to the Baking Bites blog for a long time now, and the more I read about her amazing baked goods, the more I want to quit my job and go home and bake. I hope you all like it, too! So get baking, and love Baking Bites! Posted by uggclogs in Baking, Happiness, Life. I love these banana muffins, they are the tastiest (and moistest) muffins that I have ever made without adding tons of oil or butter. But they (bless their cotton socks) are not exactly much to look at. But try them all the same, they are delicious! I currently have a batch sitting in the oven, and the house smells divine. – Peel and roughly mash the bananas. Don’t be afraid to leave some lumps, as this will add to the muffin delight later on. I used a few lady fingers in there, too, this time, because I had them at hand, and because they have a firmer flesh. Don’t use too many, though, as their flavour might be too powerful the muffins. – Gently beat the egg to break the yolk and add it to the bananas. – Melt the butter, and add the sugar and butter to the banana mix. – In a separate bowl, combine the dry ingredients. Sift these into the banana mixture, and gently fold through until combined. Spoon the mixture into a greased muffin tin, and bake. – To play around with the recipe, you can add cinnamon, chopped nuts or chocolate chips to the batter before spooning it into the muffin tin.